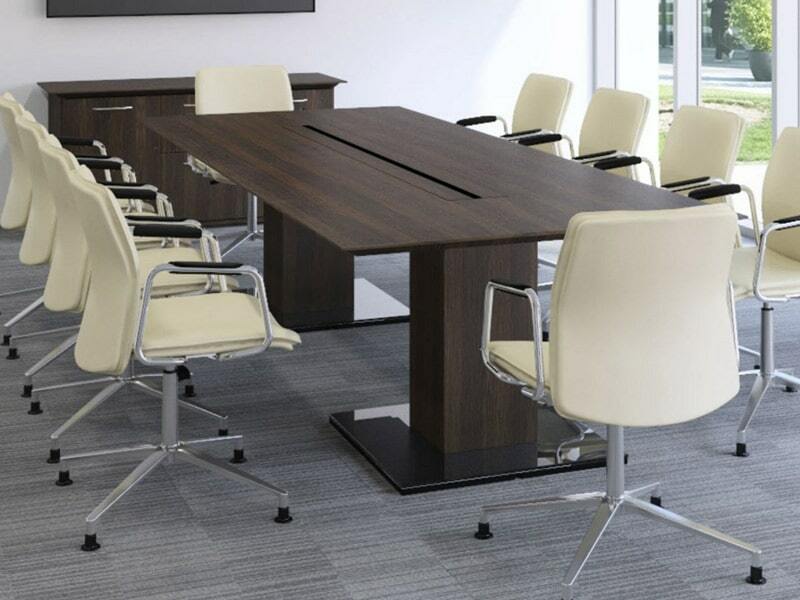 Pure Office Solutions Ltd has a very comprehensive range of conference and boardroom furniture including tables with an extensive choice of top shapes and base options. 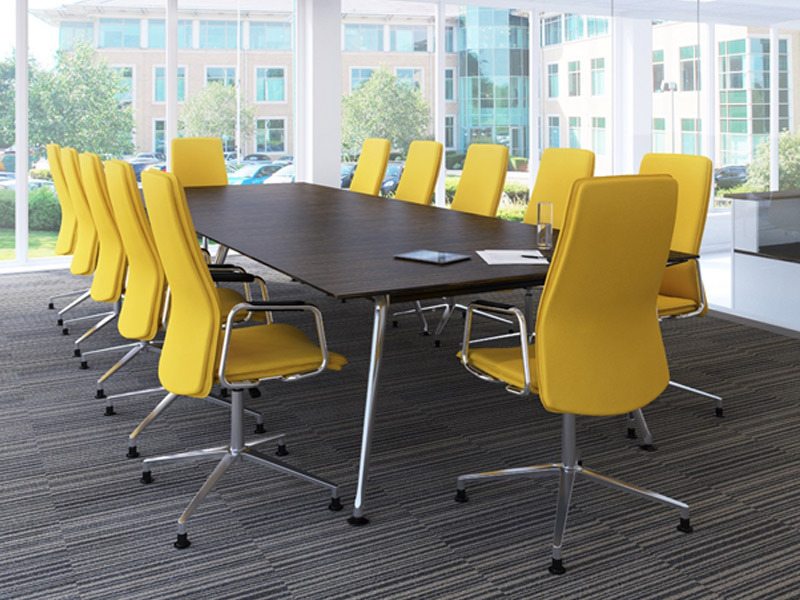 Our standard conference tables range from 1.8m – 5m in length and 0.8m – 1.5m in width. 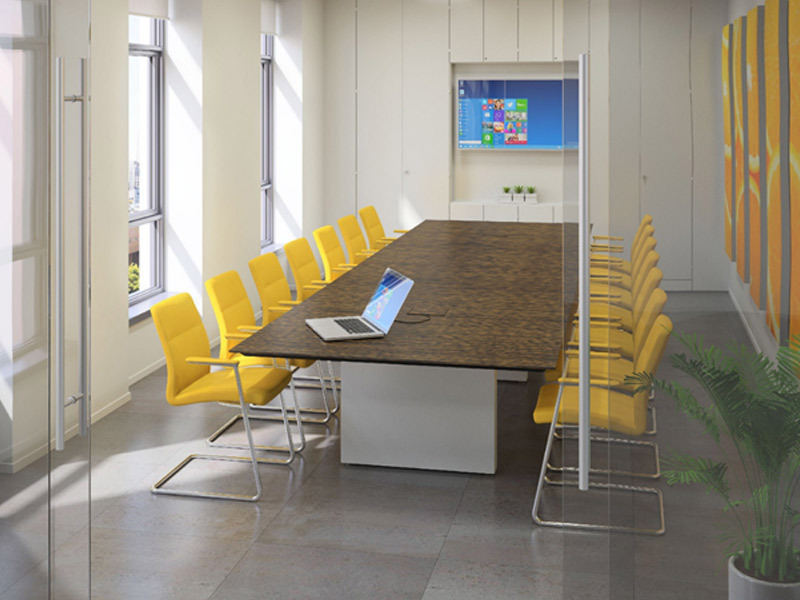 However, we can make conference tables any size even above 5m. These are made to measure and unique to your required measurements. 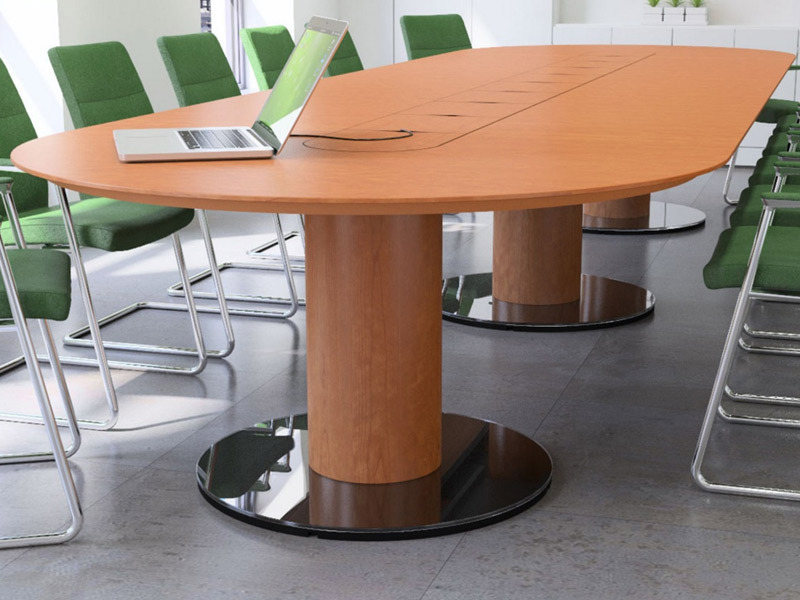 Tables can be optionally specified with lift out tiles in black mirror glass, white glass, frosted green glass, veneer or MFC. The tiles give access to a high-capacity cable tray that can accommodate sockets and excess cables. Cables can be routed to floor level via concealed cable conduits. We offer hinged flaps as an alternative cable management solution to lift out tiles. Tiles may be specified in a matching or contrasting veneer or MFC to the surrounding top, or in White glass, frosted Green glass or Black mirror glass. 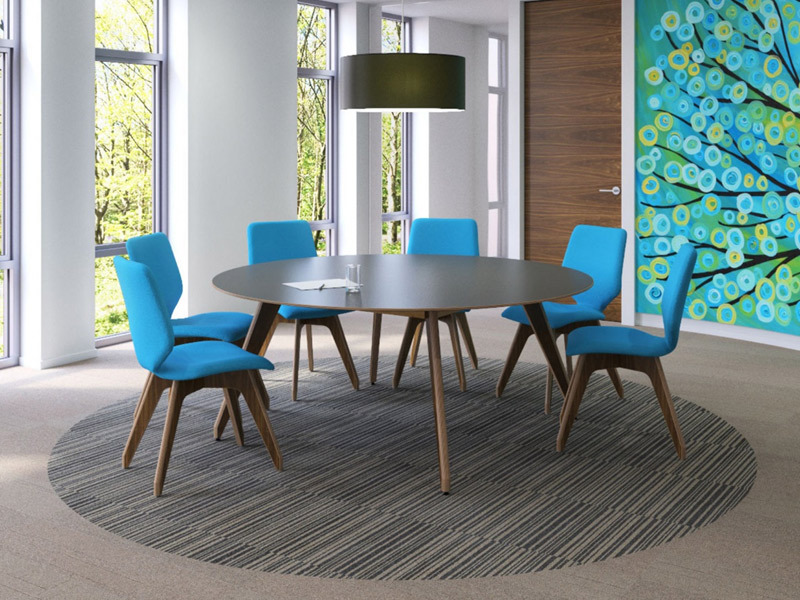 Flaps are available in the same finish as the table top or in a contrasting MFC or veneer finish. With a lid that hinges open to reveal the chosen selection of sockets. Comprising a circular port which can be raised up to provide access to a vertical socket block. We offer a comprehensive choice of suitable power and data sockets and connecting cables. 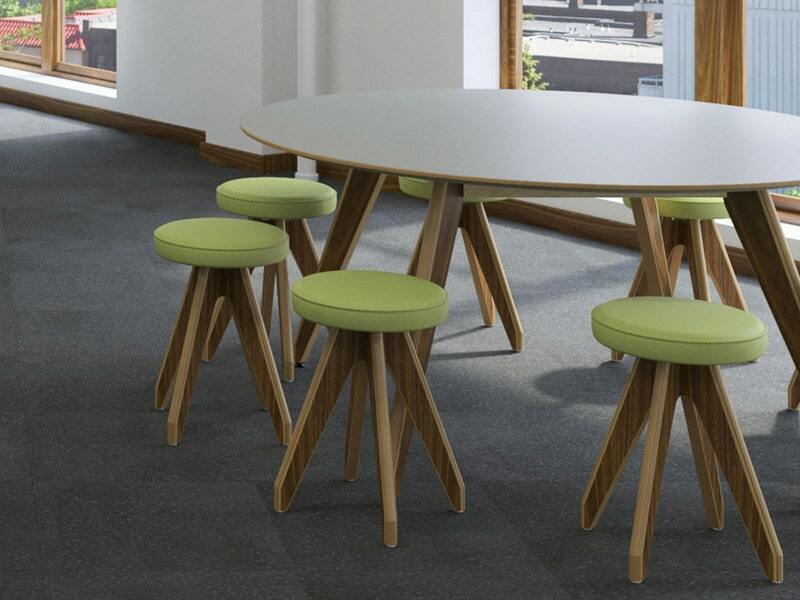 Our Modular Table Systems meet the need for very flexible, easily reconfigurable tables. We offer a choice of three systems, each providing flexibility in a different way, so you can choose the solution that best meets your needs. We offer two frame styles: an inverted “T” shape and an inverted “Y” shape. 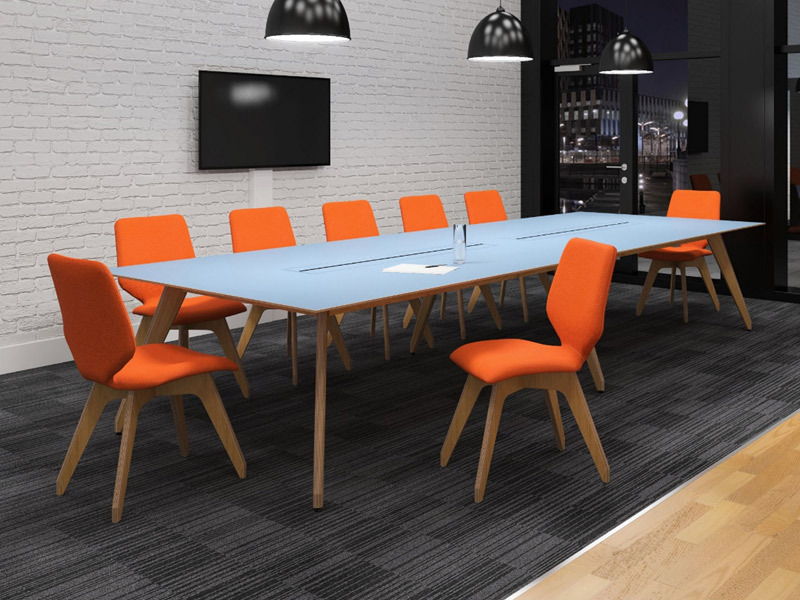 The Y-shape offers the added convenience that a user at the end of a table can pull up close to the surface and place their feet under the frame. T-frames are offered in Zinc, Slate or White, and are fitted with glides or lockable 50mm castors. Y-frames are finished in Zinc, Slate or White and are fitted with lockable 75mm diameter castors. Tops are available in sizes ranging from 1200 x 600mm to 1600 x 800mm, and in rectangular, trapezoidal and D-end shapes. Options include modesty panels and a hinged cable management flap with cable tray. Tops may optionally be linked together using simple finger-tightened linking plates that store under the tops when not in use. Square, rectangular, trapezoidal and D-end table, on removable round legs in Slate, Zinc, White or Chrome (plus triangular linking tops). Top sizes from 700 x 700mm to 1600 x 800mm. 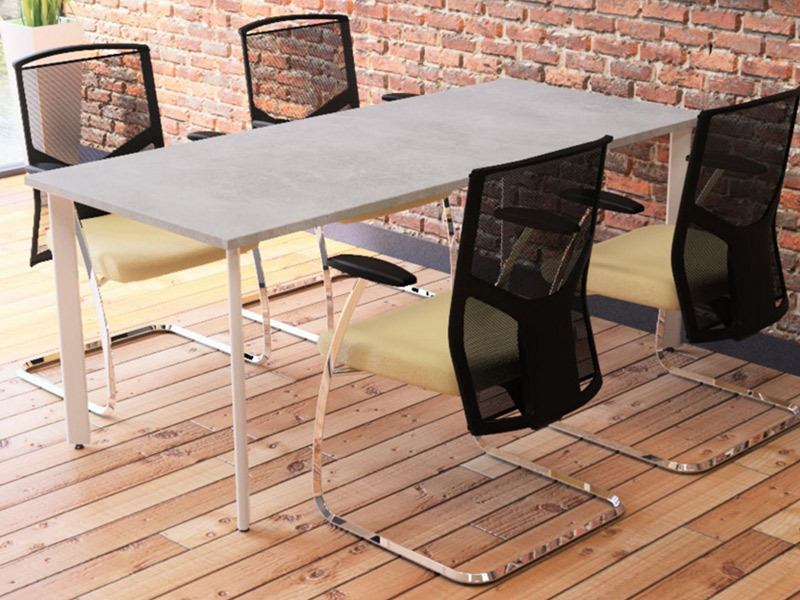 Sectional tables may be used individually or linked together to form larger configurations. With the legs removed table tops and legs may be stored and moved on a mobile trolley. Tops may optionally be linked together using simple finger-tightened linking plates that store under the tops when not in use. 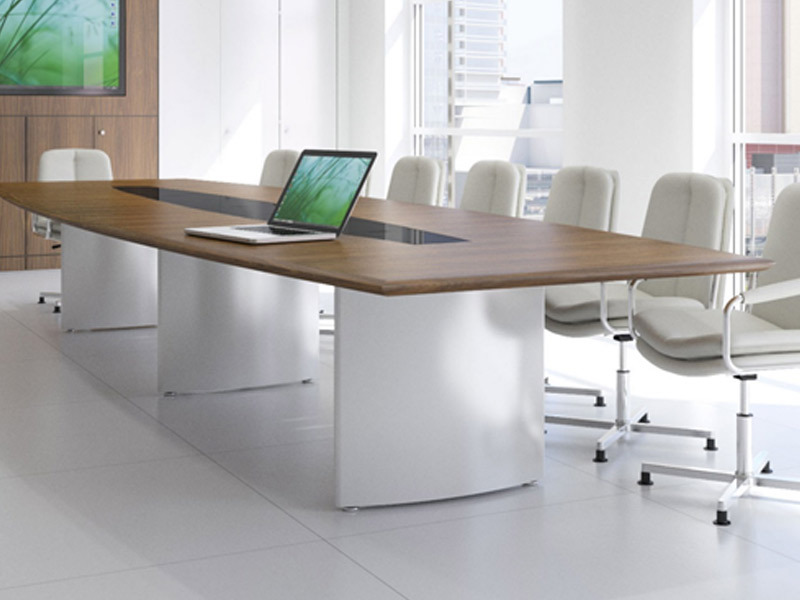 Robust rectangular desks that fold completely flat to minimize storage space when not in use. Folding is simple, carried out with the tables upright, and requires no tools. Tables may be carried individually or stacked on a mobile trolley for easy relocation. 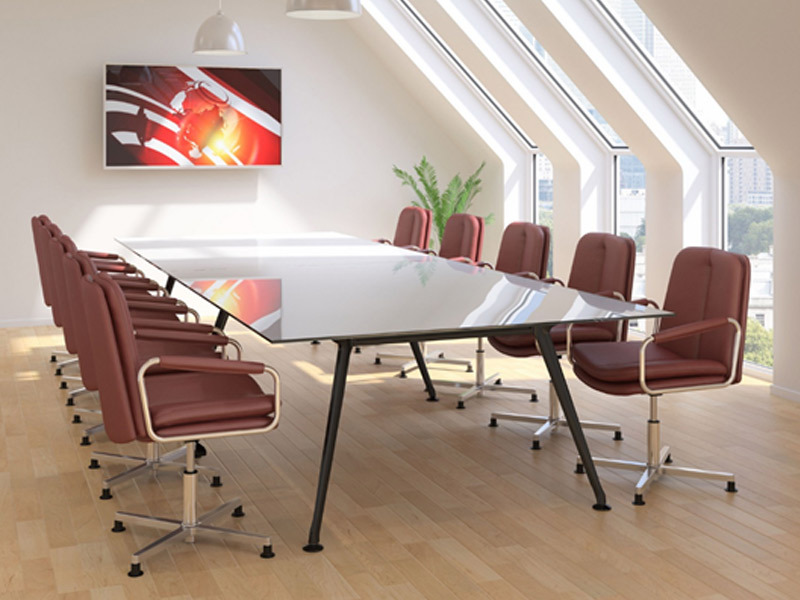 All folding desks are 600mm deep and 1200mm, 1400mm or 1600mm wide.